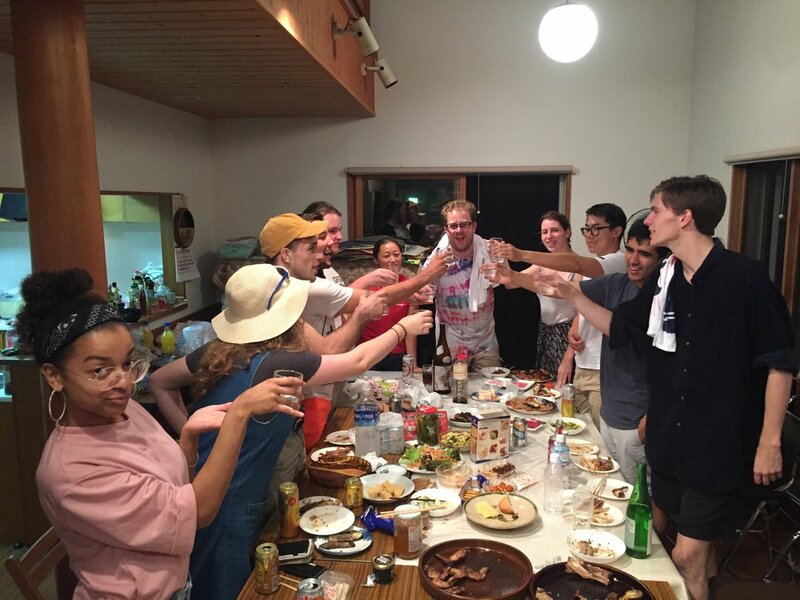 This weekend, interns raced to Tokyo from all parts of Japan (Tokushima, Ehime, Nara, Okinawa, Osaka, Kyoto, and more!) to make the 10:27AM train to Miura Beach in the Tokyo Bay of Kanagawa. On our way to the beach house we were staying at, we stopped at a lava rock beach. Afterward we took a small boat ride to a seafood and vegetable market. Buying food at the market is always an exciting experience. They’re all locals from who don’t understand any English, so we can only use Japanese with them! We never know what food we’re buying, but it’s okay because the food is always delicious. Later that night, we returned to the beach house and had a big barbecue. Tofu, vegetables, tuna, sashimi, kimchi, chicken wings—we had it all!